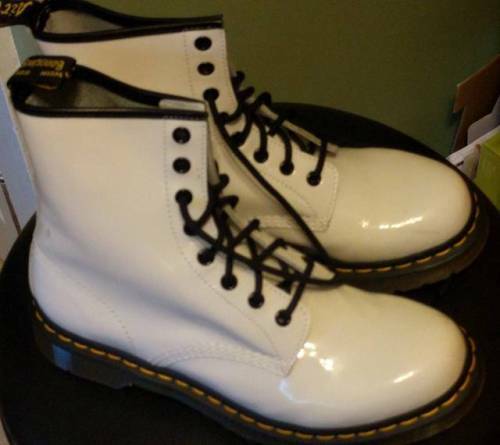 I bought a pair of white Doc Marten boots at a thrift store. If you wear a female size 9 and want them, let me know. They look like theyve never been worn but theres a light scruff.